Brand: Rugs In Style Inc.
Sparkling colors and Modern designs, these bath mats will enhance the modern look of your bathroom setup. We are leading Exporter of Polyester Rugs or Floor Polyester Rugs. We have developed a wide range of shiny, simmering colors in the polyester collections. We continue to add new weaves and colors to this very glamorous new age line. Being leading names in the industry, we are able to offer a superior quality array of Polyester Decorative Rug to our patrons. 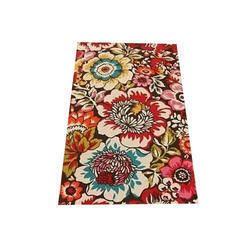 Product Description:The cotton and jute rugs that we have are known for their exclusive quality. These rugs are well designed in various shapes and sizes. Our cotton and jute rugs are widely appreciated for their fine weaving and finish. We are one of the renowned designers and manufactures of polyester rugs which are highly demanded worldwide. These are available with variety of patterns and in different fabrics. 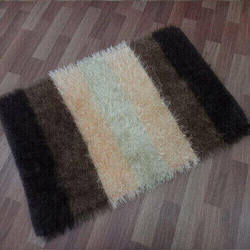 We offer these rugs with premium quality and in cost effective prices.